How exciting?! An actual request. I’m so taken with this idea that I think I’m going to make it a regular feature on the blog. I’ll put a bit of thought into how it will work, and keep y’all posted. So . . . toilet rolls. 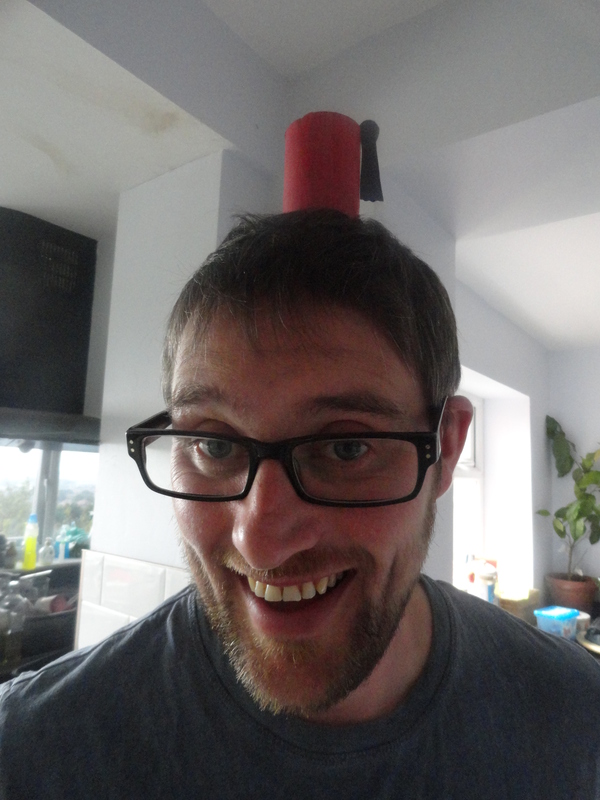 I immediately dismissed my other half’s suggestion of “Midget Fez” and came up with 5 ideas that I hope cover all ages and skill levels. 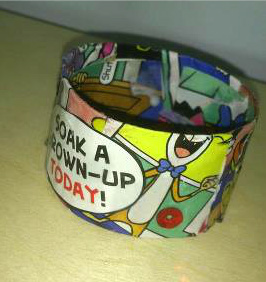 Funky Bangles! Get scissor happy and messy with the PVA. A great one for all ages to try. Comic book snippits look particularly cool, or you could even just use paint/glitter/sequins etc. 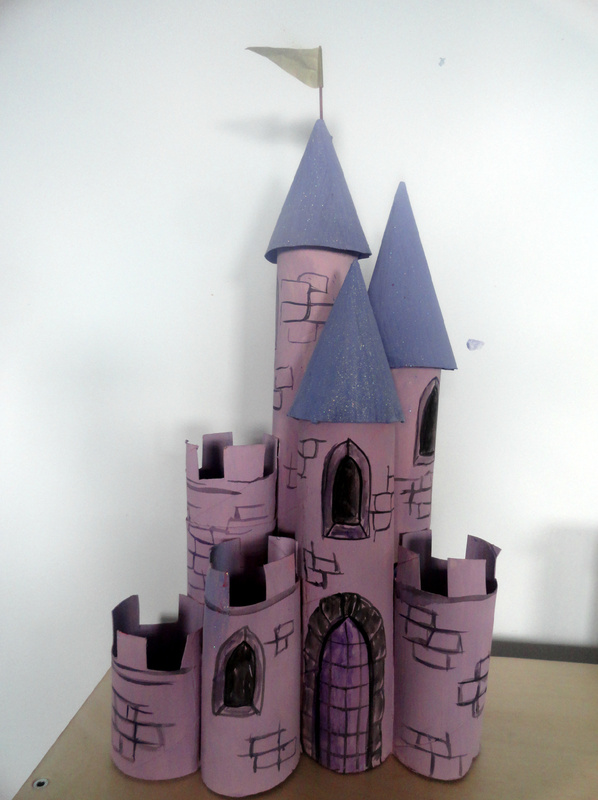 Castle: I made this with a variety of toilet and kitchen roll tubes, and a load of PVA. (Stand it on grease proof paper or cling film when the glue’s drying so it doesn’t stick to a surface!) Little Miss Spider lent a hand with the paint, but this one’s a bit better for older kids. I think we’ll use ours as a desk tidy for her pencil crayons. 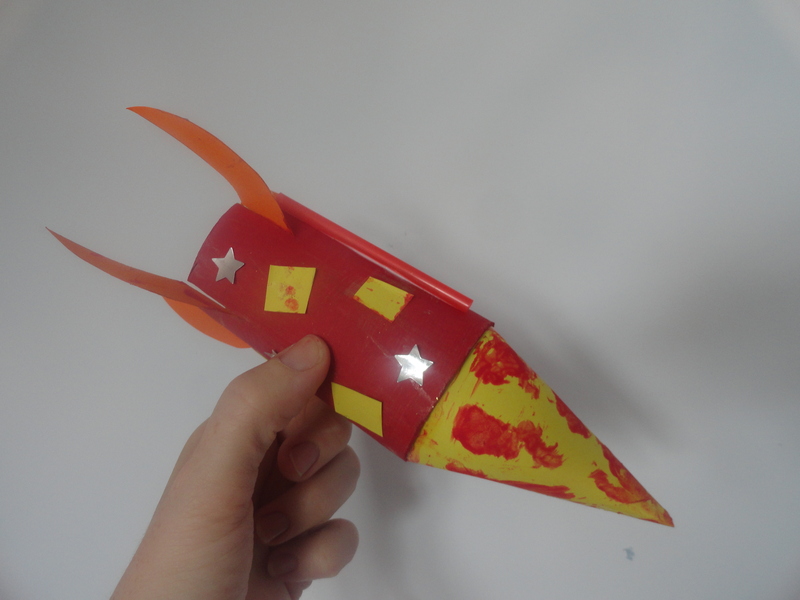 Rocket! We glued a section of a plastic straw on the top to thread string through and let it slide down. Whooooosh. 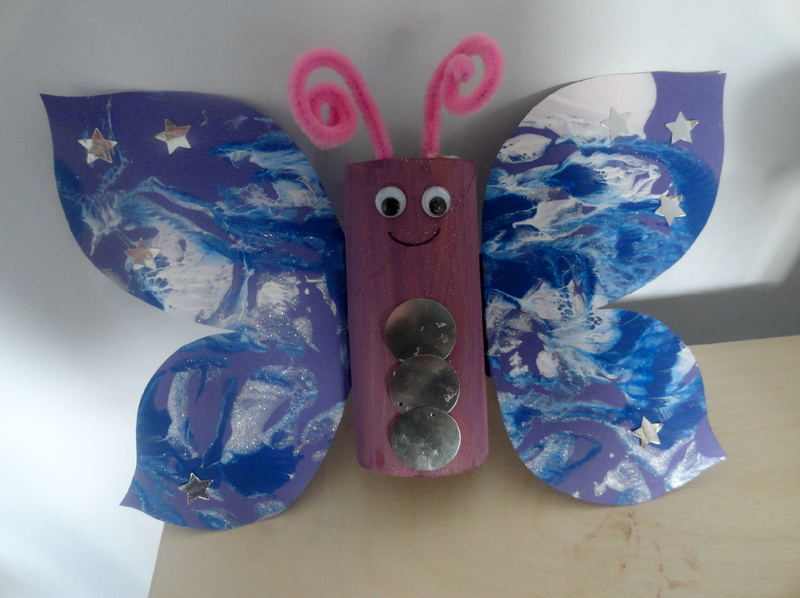 Butterfly: Make or re-use a finger painting to make the wings with younger children. Older ones can design their own. Add pipe cleaner antennae and away you go. I think these make a lovely alternative to gift wrapping a present – if the gift is small enough, you can wrap it in tissue and put it in the body of the butterfly. Hope this helps, Ghostwritermummy – chuffed to pieces that you asked, and hopefully, this may be the start of a new interactive angle to the Incy Wincy Art Club?! What’s that you say? You wanted to see the midget fez? Oh . . . go on then! Take it away Mr Incy Wincy . 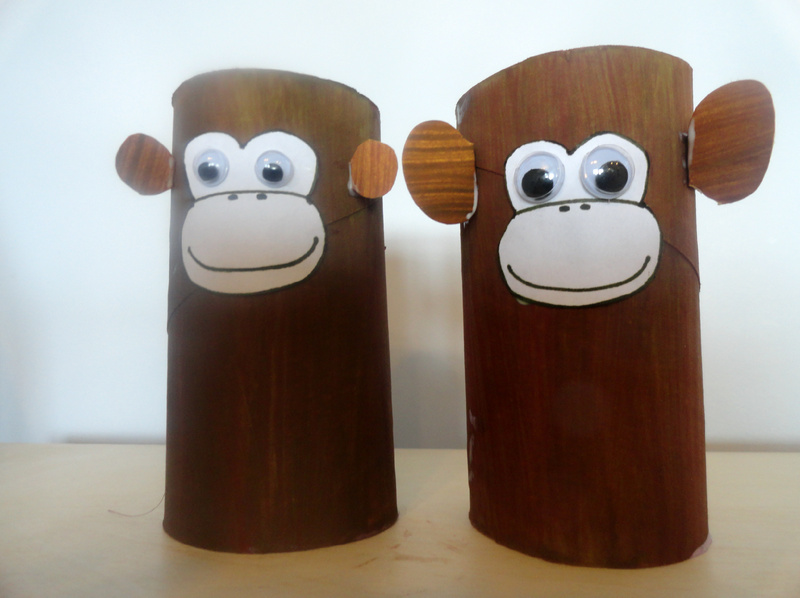 . .
Also – I found a whole load more fabulous toilet roll craft ideas over on Red Ted Art’s blog – take a look. This entry was tagged butterfly, fairy castle, make a castle, toddler craft, toilet roll craft. Bookmark the permalink.